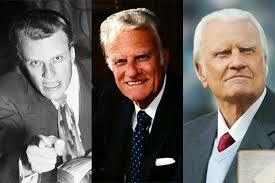 designtocaredaily: The Exceptional life of Rev Billy Graham is Honoured by All. The Exceptional life of Rev Billy Graham is Honoured by All. CHARLOTTE, N.C. (AP) -- Admirers took photos on their phones, fire trucks parked on freeway overpasses and police officers saluted as a motorcade carrying the body of the Rev. 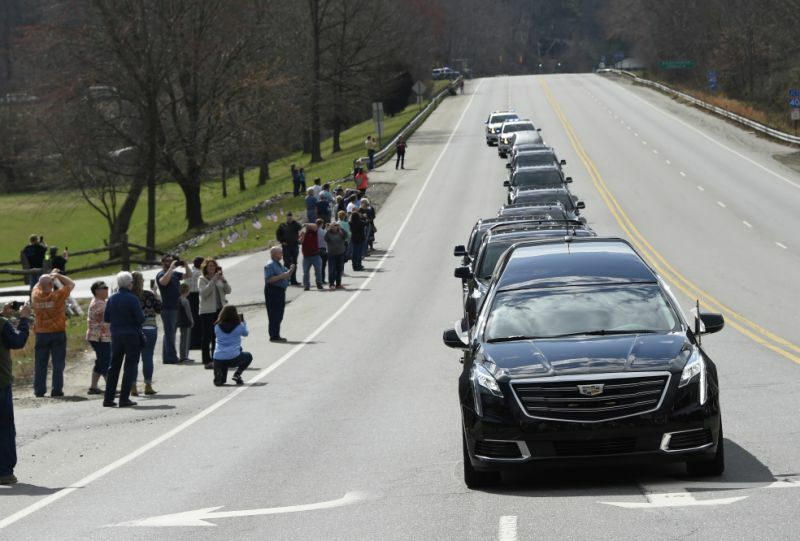 Billy Graham crossed the evangelist's beloved home state of North Carolina for four hours Saturday from his mountain chapel to namesake library in the state's largest city. Residents in some of Graham's most cherished places paid tribute to "America's Pastor," starting at the training centre operated by his evangelistic association in Asheville. The motorcade rolled through Black Mountain, where he shopped and caught trains, and Montreat, where he lived. Well-wishers lined sidewalks and medians as the motorcade reached Charlotte. Pallbearers, followed by family, carried the coffin into the Billy Graham Library, which will serve as a backdrop for the funeral. Franklin Graham said he was fulfilling a promise to his father to bring the body to Charlotte. He said he was overwhelmed by "the outpouring of love." Leighton Ford, the evangelist's brother-in-law, said the procession brought gratitude and tinge of sadness. "I think he'd say, 'It's not about me. It's about the Lord,'" said Ford. "I remember at his last stadium meeting here in Charlotte, the mayor of Charlotte told us he was riding out on the platform with Billy, and everybody was cheering, and Billy said, 'Wait a minute. It's not about us. It's about Him.'" A viewing will be held at the library in Charlotte on Monday and Tuesday. 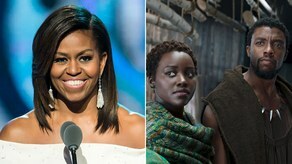 Graham will also lie in honour in the U.S. Capitol Rotunda on Wednesday and Thursday, the first time a private citizen has been accorded such recognition since civil rights hero Rosa Parks in 2005. The procession was part of more than a week of mourning that culminates with his burial Friday. Adults and children stood behind wooden barricades and yellow tape along a route that included parts of Interstate 40. A man played bagpipes at a highway rest area near Marion, where an overpass was draped with flags from about 15 nations. In Black Mountain, a group sang "Amazing Grace." "He has never really revelled in all of the celebrity. It's come with the territory," said Joe Tyson, a family friend who runs a furniture store in Black Mountain, where he watched the procession. The library in Charlotte was closed but admirers came to watch and lay flowers. "He was so bold, he so boldly confessed the word of God," said Madeline Reid. "And I believe because of his service to humanity, that he's truly gonna be great in the kingdom of heaven." Ruby Sparks, 85, attended a Graham youth ministry meeting in 1951, when she was a college student in Greensboro, North Carolina, and met him in 1970. "He was such a wonderful man of God, and a messenger of God," she said. Asked if there would ever be another force like his, she replied: "I doubt it. Perhaps, in my next, in another lifetime. Not in my lifetime." Graham will be laid to rest at the foot of a cross-shaped walkway at the library, buried in a simple prison-made plywood coffin next to his wife, Ruth, who died in 2007. His coffin was built by inmates at the Louisiana State Penitentiary in Angola, Louisiana, who typically construct caskets for fellow prisoners who cannot afford one. The funeral will be held in a tent in the main parking lot of Graham's library in tribute to the 1949 Los Angeles tent revivals that propelled him to international fame, family spokesman Mark DeMoss said. About 2,000 people are expected at the private, invitation-only funeral. Associated Press writers Elliot Spagat in San Diego and Tom Foreman Jr. in Charlotte contributed to this report.